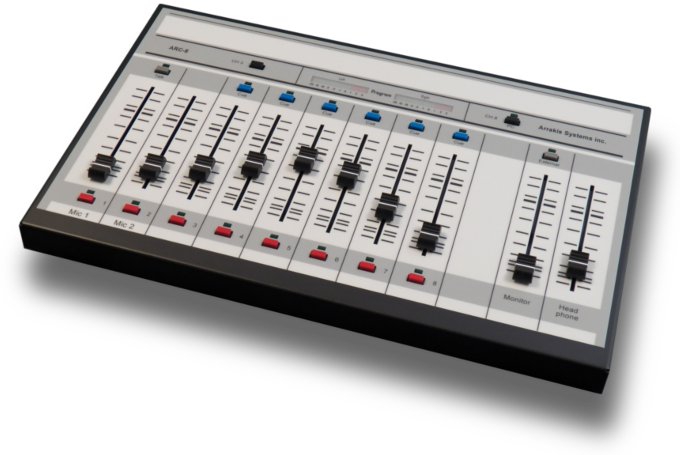 With a single stereo mixing bus, the ARC-8 broadcast radio console is ideal for fast paced live on air, production, Internet streaming, and remote applications. Two mics supports a host and guest talk format. The mix minus bus (for an external hybrid) supports Telephone talk formats or call ins. 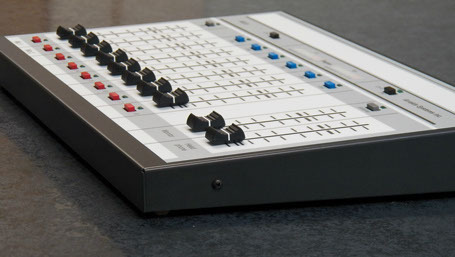 The ‘Talk’ button on mic channel one feeds the mic to the caller and the caller to the console cue system, fast and easy. 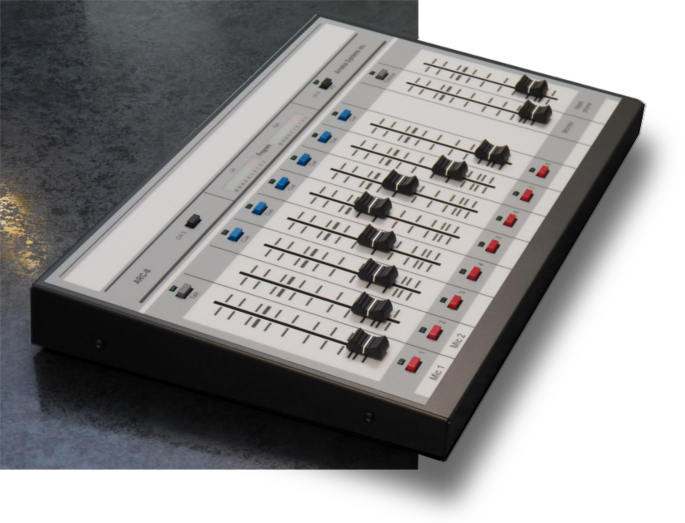 The ARC-8 radio console is compact and durable for professional Radio applications. The 0.059″ steel chassis is extremely strong and well finished with two part epoxy paint. The front panel graphics are on the reverse side of a beautiful polycarbonate overlay for scratch resistance and long life. The switches have LED lighted indicators to clearly display switch status. It is excellent for so many different applications, it would be foolish not to have one. The only thing it doesn’t do is make you coffee in the morning. ▪ 2 High Performance mic channels. Perfect for a Guest/Host configuration.